Every horticulturist has one or more favorite books--books that are in constant use and are rarely returned to the shelf. Which orchid books do we like? Which are the most-used, most loved, most likely to be rescued from the flames if the library were burning down? I asked some of our staff. 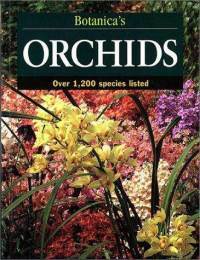 Mike Wenzel, ABG's Plant Recorder says that these days he doesn't often read orchid books for pleasure. "I almost always go to a book as a reference." One exception is Rebecca Tyson Northen's book, Miniature Orchids and How to Grow Them. 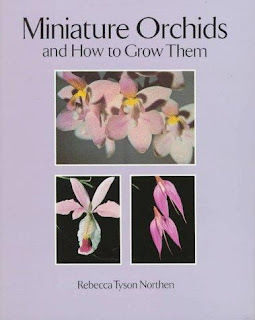 "I love her miniature orchid book--it's pictures, descriptions of interest, tidbits about weirdnesses of plants, personal opinions. There is a huge array of things unusual and unknown to me. This is one book that I would leaf through." 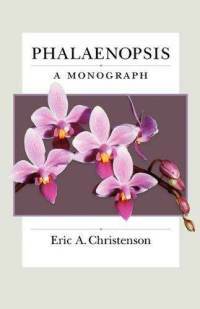 "Another book would be the Phalaenopsis monograph by Eric A. Christenson. Good taxonomy, good descriptions, good illustrations and photos. It goes into details of ecology, cultivation and areas of need for further investigation. In the case of this book I tend to go to it looking for specific information and wind up enjoying the read and spending more time with the book than just for the info I was looking for." Sarah Carter, Orchid Center Horticulturist, picks Botanica's Orchids. "I like it because it is so comprehensive. When I need to know some general information about a genus or species that I am unfamiliar with, I know I am likely to find what I am looking for in that book. It is also full of nice color photographs with pictures of at least one example, and usually more, from every genus next to its entry. It’s a good place to start."